Environmental Responsibility | Moffatt Scrap Iron & Metal Inc.
Environmentally sustainable practices are essential for our planet. 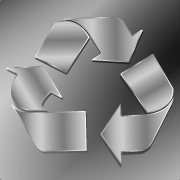 At Moffatt Scrap Iron & Metal Inc. we believe in and contribute to the principals of recycling. We divert resources from landfills, and ensure our products are recycled for reuse. We help you contribute to a cleaner environment through our recycling and sustainable processes. Moffatt is firmly committed to environmentally responsible practices that meet quality control standards. We strive to utilize the recyclable resources to the optimum level. moffatt operates a comprehensive material handling program to collect, separate, and properly dispose of hazardous and environmentally unsafe materials. We adhere to provincial environmental guidelines for processing and ensure employees are trained and follow strict practices. The use of scrap metal, has a positive environmental impact. We can help you do your part. Contact us to learn more about how environmental sustainability plays a key role in how we operate.